A new masterpiece of electric pop music. This is the second lead single from the third album 'Love Songs for Insensitive People' of Heathens, a six piece electric band in Italy, which will be released on 5th April. 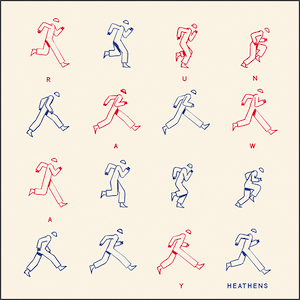 Heathens was formed by in Feltre a small town in the northern part of Italy in 2012 when the brothers Mattia and Lorenzo Dal Pan decided to embrace the synthesizer world. In the same year, they released the first album 'in Silenzio', followed by the second album 'Alpha' in 2016. Both albums feature the catchy melodies which invigorate the memories of The Beatles and The Beach Boys, the electric rhythm affected from The Knife and The Notwist, and the introspective sounds of Radiohead and Massive Attack. A unique take on music that has been highly evaluated by many music fans. Have a check the new electric music masterpiece from a new age. copyright 2019 Ricco Label : all rights reserved.